The Crown and Sceptre Stroud. Real ale, real food and great entertainment in stroud. Real Ale, Real Food, Real Entertainment and Really Friendly. Home to Rodda Thomas your host and Landlord. Open since 2009 the Crown and Sceptre has established it self as a hub for the local community. Enjoy a chat a relaxing newspaper read or perhaps a board game. On Tuesdays evenings our own Knitting group meet around our big table for `Knit and Natter` Wednesdays between 6-7pm we serve a hearty home cooked meal `Up The Workers` Saturdays is Cornish Pasty day with Large Steak and Spicy Vegetable Pasties available all day and on Sundays we serve a Traditional Sunday Roast from 1pm. Also on every last Monday of the month we hoast `Meat Free Monday` and once a month on Thursday`s with have an `Open Mic Night` a `Comedy Night` and a `Irish Acoustic Sesson`. We have four real ales available including two provided by local brewery Uley Ales Uley Bitter and Pigs Ear and one by Stroud Brewery Budding there is also a rotating guest beer. As well as a lovely still draught Medium Dry Cider from Wilces of Ledbury. We have the full Sky / BT package and show televised Football Rugby and Cricket matches in HD. 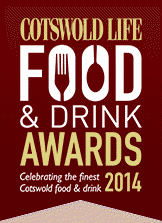 Cotswold Life Food & Drink Awards. We have four real ales available including two provided by local brewery Uley Ales, one by Stroud Brewery and a rotating guest beer. We also have a Guest Ale a Guest Craft Beer and a Guest Still Cider on Draft but this changes so fast we cannot keep up with it on this site. Check the Pub s or Gloucestershire CAMRA s Facebook page! All these Bar Snacks are available All Day Every Day ! The menu for this changes every week. Now also the Award Winning `Chilli Beef` and `Red Thai Chicken` Pasty! We Serve a Traditional Sunday Roast every week. This rotates in alphabetical order: Beef Lamb or Pork and we alway have a Vegetarian option Available. To Find out which Sunday Lunch it is this week either call the pub on 01453762588 or check out our facebook page which is usually kept up to date. Stroud based vegetarian chef Erin Baker of Natural Cookery School will be cooking up a hearty vegetarian feast on the Last Monday of every month. Vegan and gluten free options available please request upon booking! Thurs 18th Probably the Best Comedy Night in the World - Up and coming talent and headlined by Demitris Deech and held together by the inimitable Gavin Pond. Stroud’s Americana Festival and Chilli Cook Off! 9.30pm �`` 10.45pm Luke Philbrick and Solid Gone? Fri 26th The Shady Past LIVE in the Pub - Revved up kick starting Rock n Roll. Tel: 01453 762588 or use the form below.